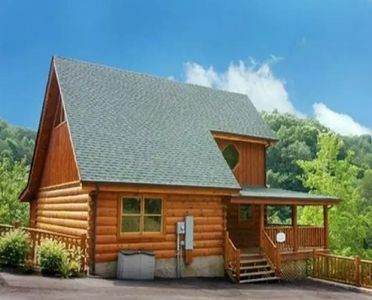 Pidgeon Forge Beautiful Family Cabin, 7th night is free!! NO FIRE DAMAGE! 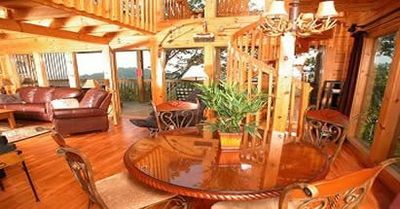 If you book the cabin for Six nights starting 6/15/2017 to 6/30/2017 we will give you the seventh night for free. 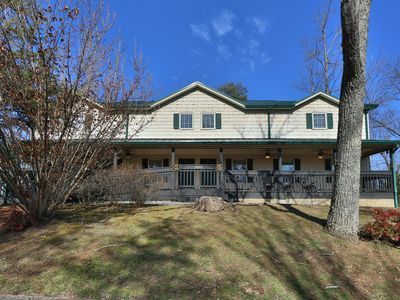 Welcome to Cherokee Lodge, for more on our beautiful cabin information including virtual tours, more pictures, and actives please visit our website. 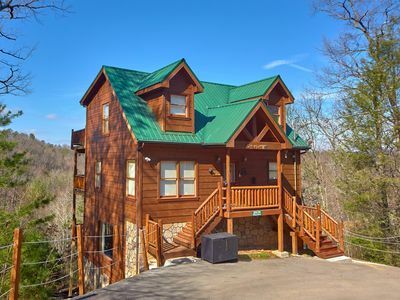 Our stunning cabin located in Pigeon Forge, TN. With outstanding views and beautiful furnishings will surely make your stay here more comfortable and relaxing. 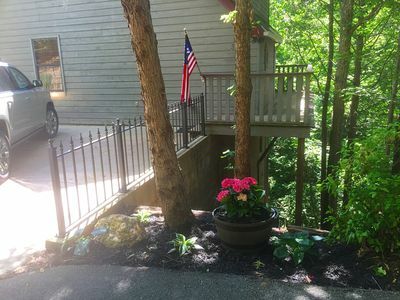 This two-story cabin is conveniently located near all of the attractions that Pigeon Forge has to offer, yet once you are here, you will think you are a million miles away. 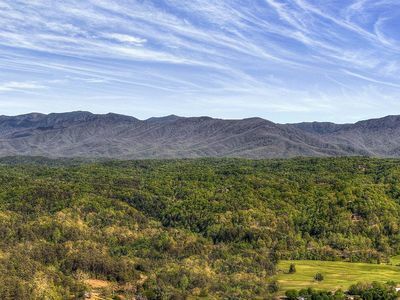 You can shop at the outlet malls, golf, visit Dollywood or an endless number of amusement parks, see a show, hike the Smokies, horseback ride; the list of things to do here is endless! 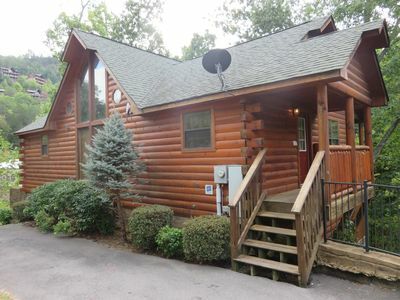 Or, you can just enjoy the cabin and do nothing. 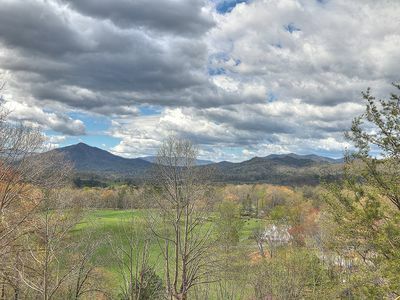 We are sure you will love the Smoky Mountains as much as we do! 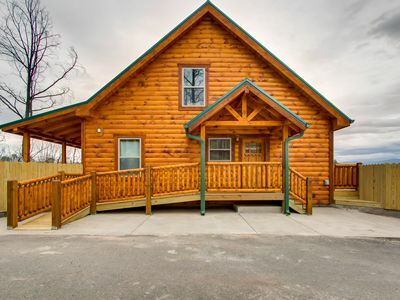 This two bedroom, two bath cabin which is equipped with one king & one queen bed sleeps up to six people and a possible a seventh utilizing a single pull out sofa bed. 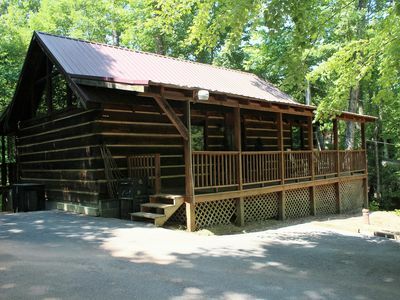 Our cabin has all of the comforts and amenities of home. 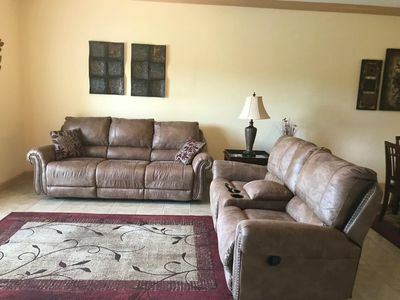 The Living Room features a gas fire place, leather queen-size sleeper sofa. New large lcd HDTV television. High speed internet also. The fully equipped kitchen has everything you need to prepare a great meal. Please visit to view the downstairs. 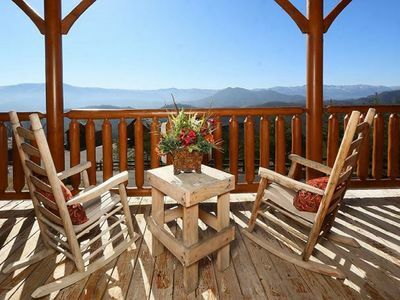 You can enjoy your meal either in the beautiful dining area or eat out on the lower deck at the picnic table to better enjoy the mountain views. 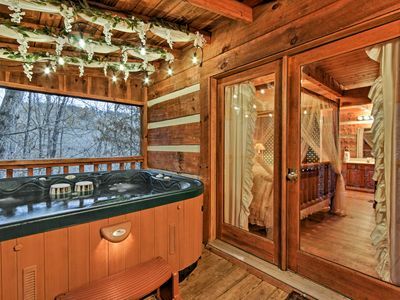 The hot tub is also located on the lower deck and is very relaxing after a long day of shopping, golf, hiking, or other activity. 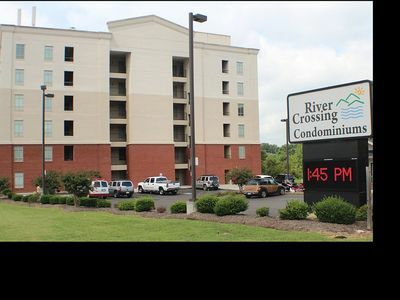 In addition there is a community pool located near by. A washer/dryer is also in the cabin for your convenience if needed. 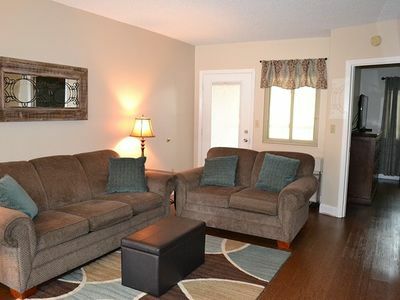 The downstairs bedroom has a king-size bed, gas fireplace and private bath. The gas fire place is operable between October 1st & March 31st. 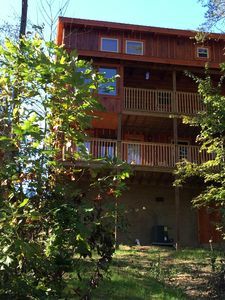 Upstairs features the game area with a pool table and shuffleboard, the second bedroom area with a queen-size bed, stereo with a five-disc CD player, full bath, and an upstairs deck with fabulous views. 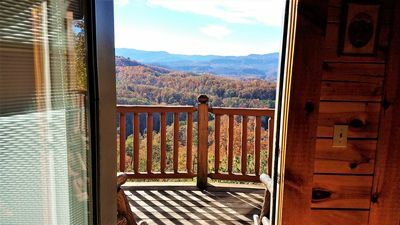 What better place to spend your time in the Smokies than Cherokee. We look forward to your stay. 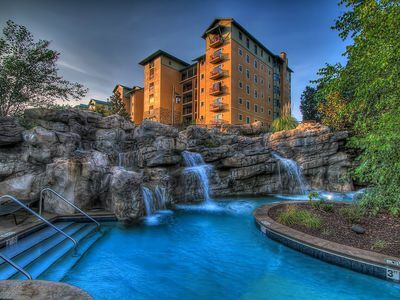 RIVERSTONE RESORT-2bd/2bth Luxury Condo w/Lazy River/Indoor Pool/#1 Spa Resort!! 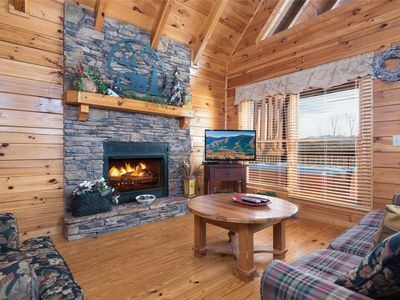 Bear Tales Lodge Luxury Cabin in Pigeon Forge-Easy Location! Flat Rates! 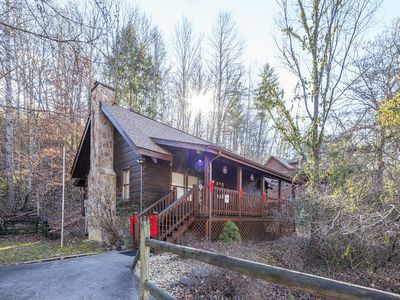 Beautiful Authentic Log Cabin in the Mountains! Last minute booking deals! 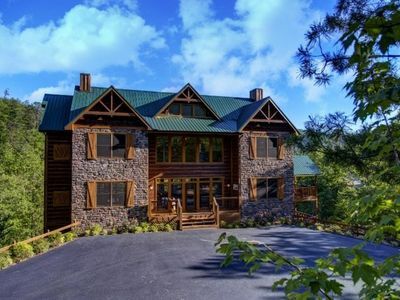 Beautiful 10 bedroom chalet! Packed full of fun for family and friends!